The Blue Green Box is plant growing system for your 10-gallon freshwater aquarium. The multi-faceted design uses the nutrients from waste generated by fish to help promote healthy and speedy plant growth—all while keeping your tank nice and clean. Speaking about his design, Andrew de Melo said: “As someone who truly believes that aquaponics is a more efficient system of food production (on a larger scale tilapia can be used alongside crops), I want to bring as much attention as I can to the process of growing plants with fish. I wanted to develop a way to bring aquaponics into the home as a fool-proof and enjoyable product that would leave a lasting impression on everyone who saw it.” Andrew currently has a Kickstarter campaign running. Check it out to learn more and to support the project. The Blue Green Box is plant growing system for your 10-gallon freshwater aquarium. The multi-faceted design uses the nutrients from waste generated by fish to help promote healthy and speedy plant growth—all while keeping your tank nice and clean. Speaking about his design, Andrew de Melo said: "As someone who truly believes that aquaponics is a more efficient system of food production (on a larger scale tilapia can be used alongside crops), I want to bring as much attention as I can to the process of growing plants with fish. 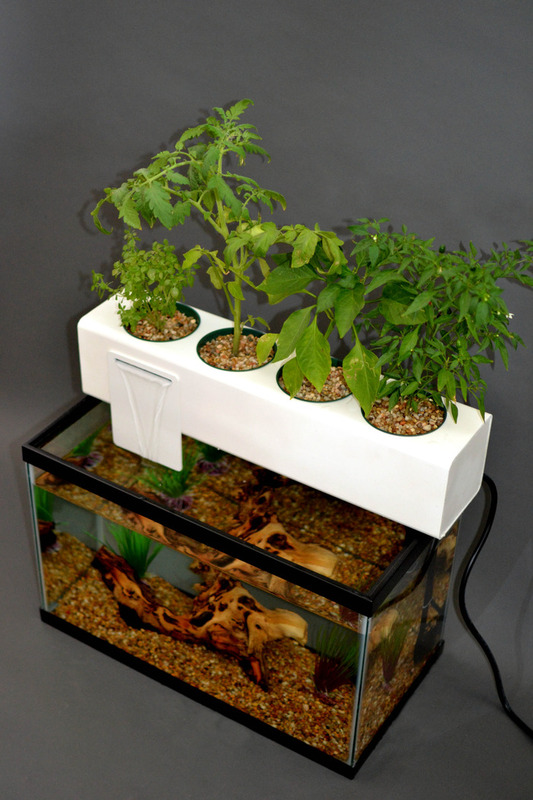 I wanted to develop a way to bring aquaponics into the home as a fool-proof and enjoyable product that would leave a lasting impression on everyone who saw it." Andrew currently has a Kickstarter campaign running. Check it out to learn more and to support the project.